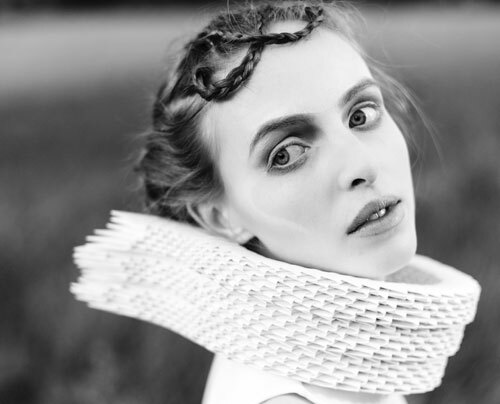 Recent London College of Fashion graduate Maureen My Ngoc created a collection of highly conceptual jewelry and fashion accessories. 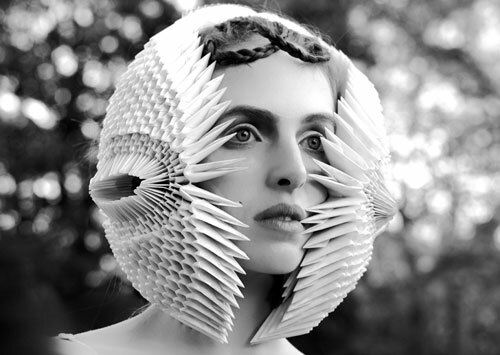 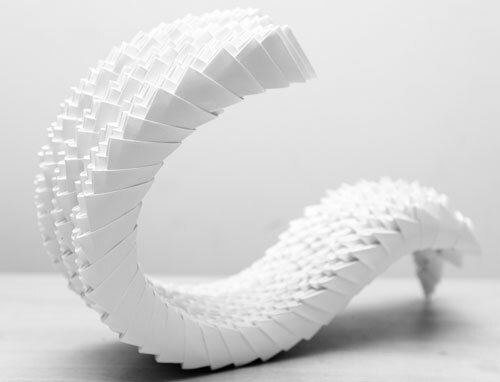 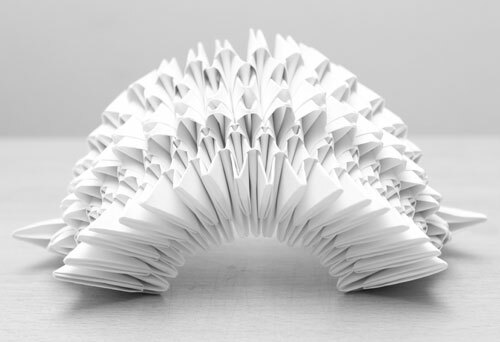 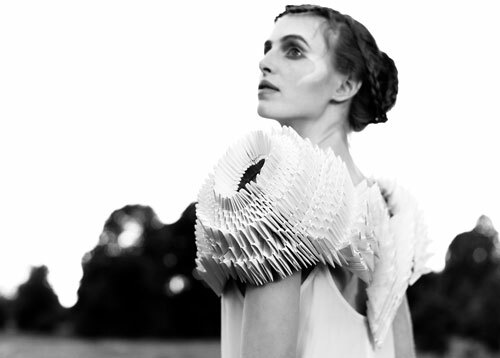 She created three-dimensional patterns using origami techniques that made the pieces fluid and flexible on the body. 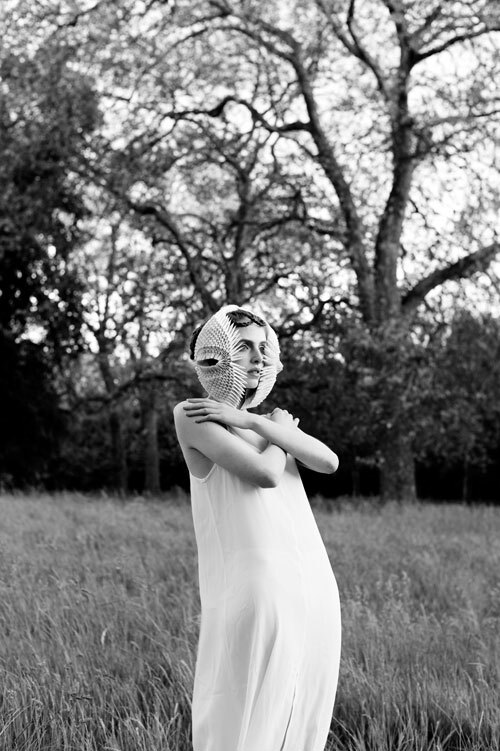 The goal was to create works to wear for aesthetic purposes but also as a means of protection or armor for the body.